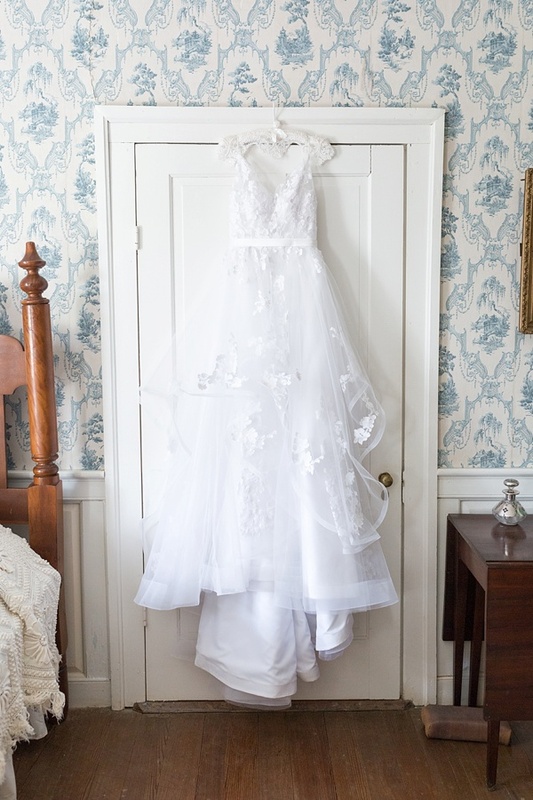 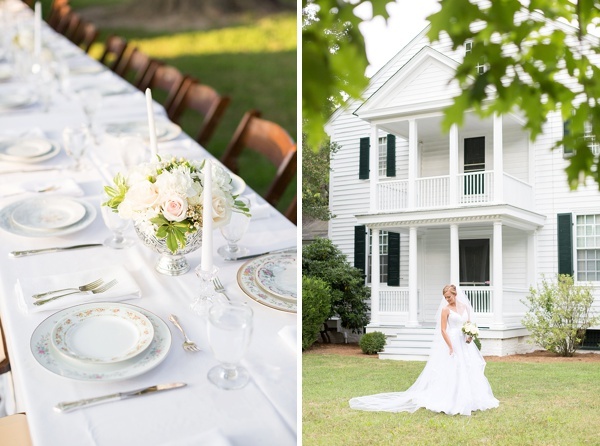 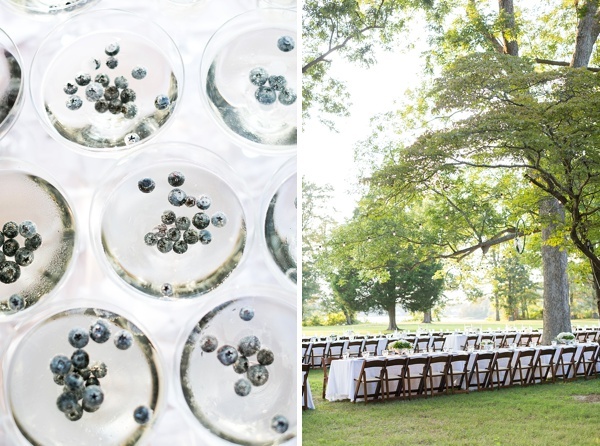 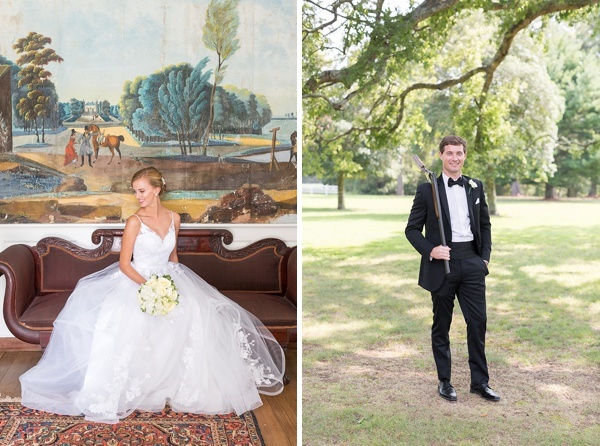 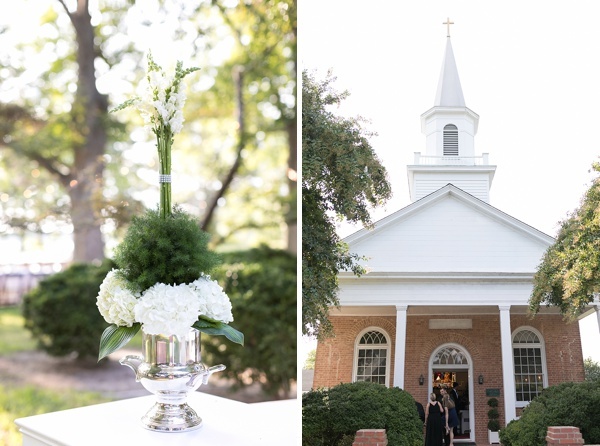 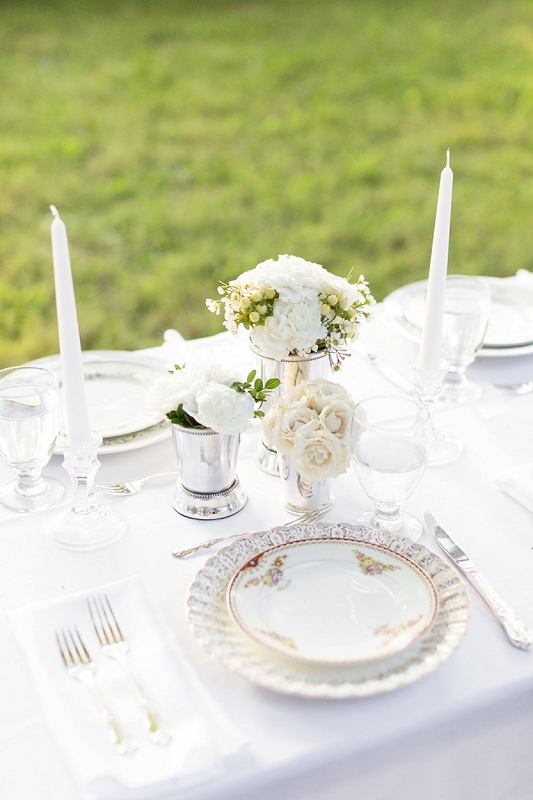 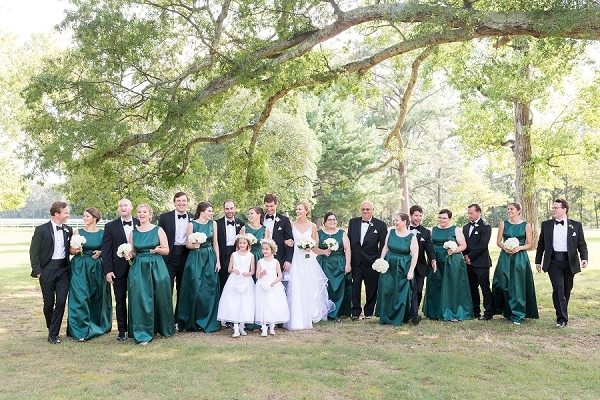 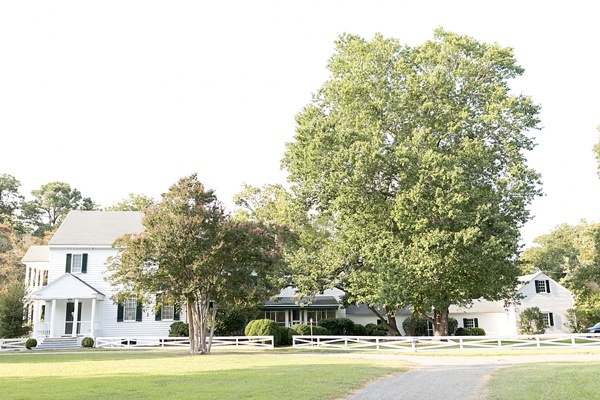 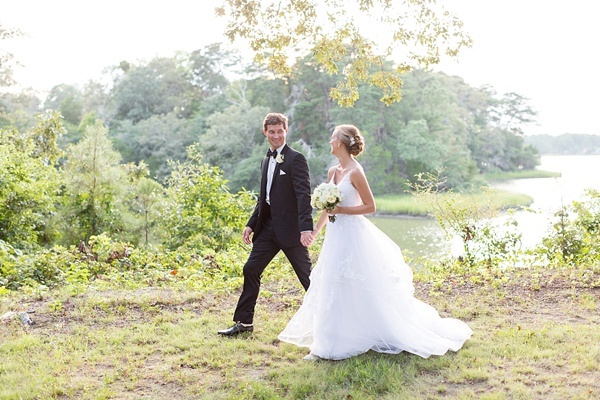 This timeless wedding comes at you with a whole lot of history because both the bride and groom have family roots on the Eastern Shore dating back to the 17th century! 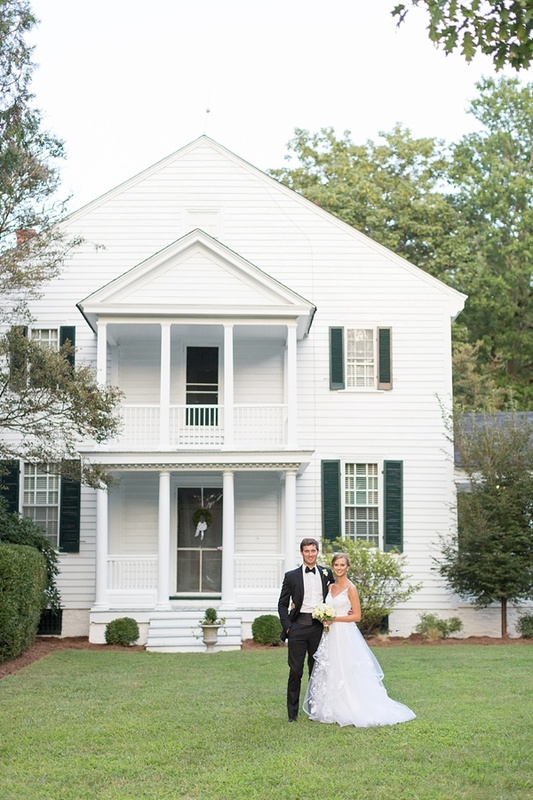 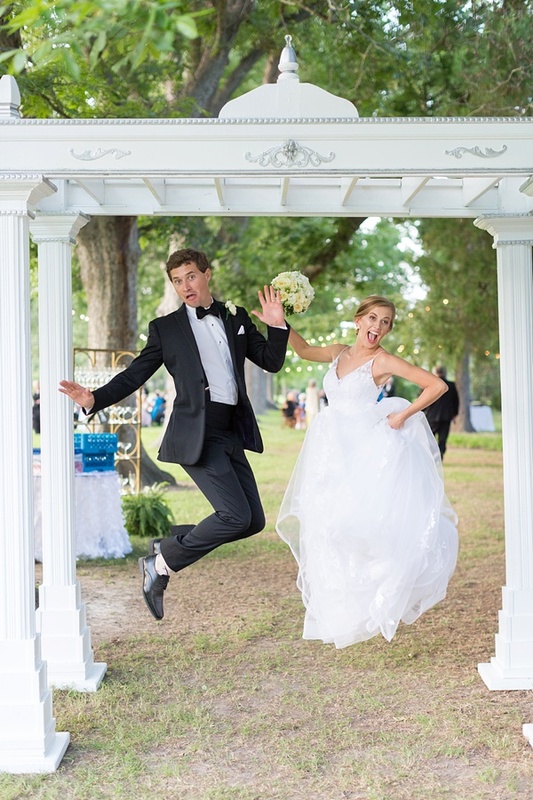 Elkington Events, a lovely historic estate owned by the bride's great-grandparents since 1946, created the perfect setting for an elegant black tie wedding for Elizabeth and Will. 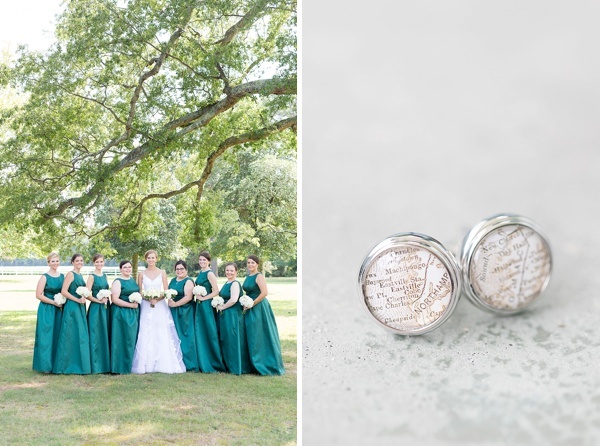 Adding to the rich family heritage, some of the diamonds in her engagement rings had been passed down through the generations and made into a personal design. 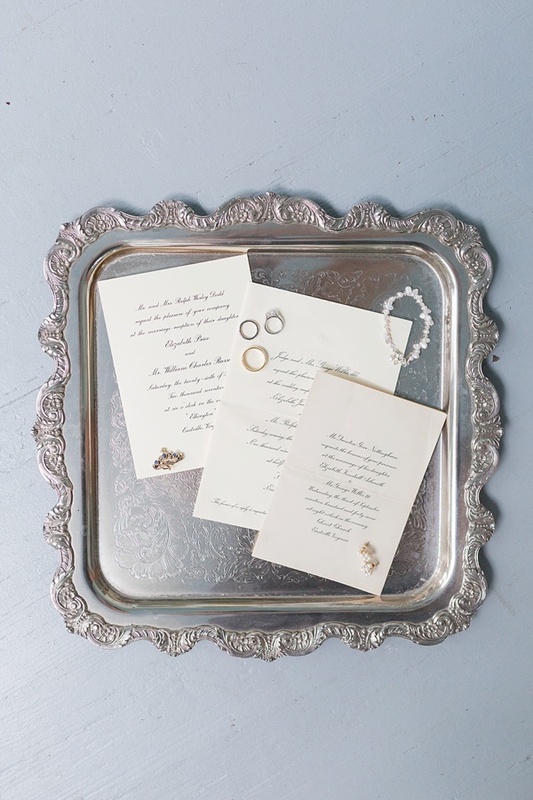 The bride also wore a garter made by her husband's great grandmother, and the wedding invitations you'll see below are photographed with Elizabeth's parents' and grandparents' very own wedding stationery. 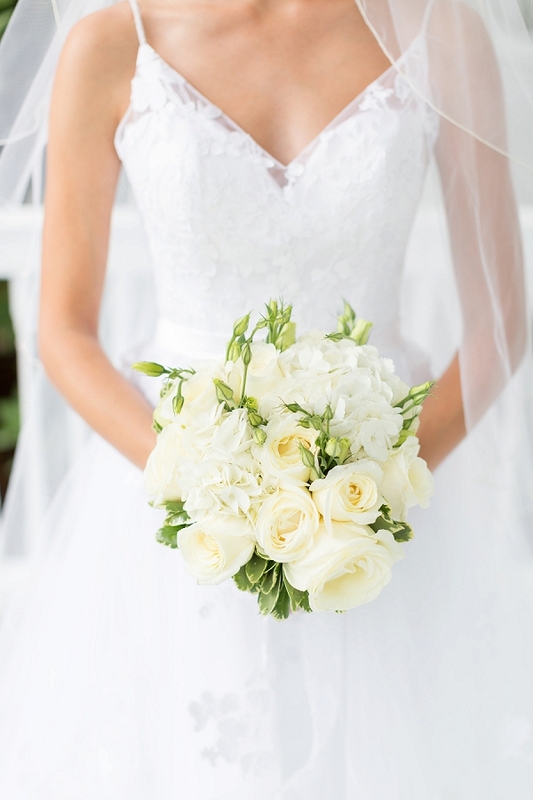 Consider our heart strings plucked! 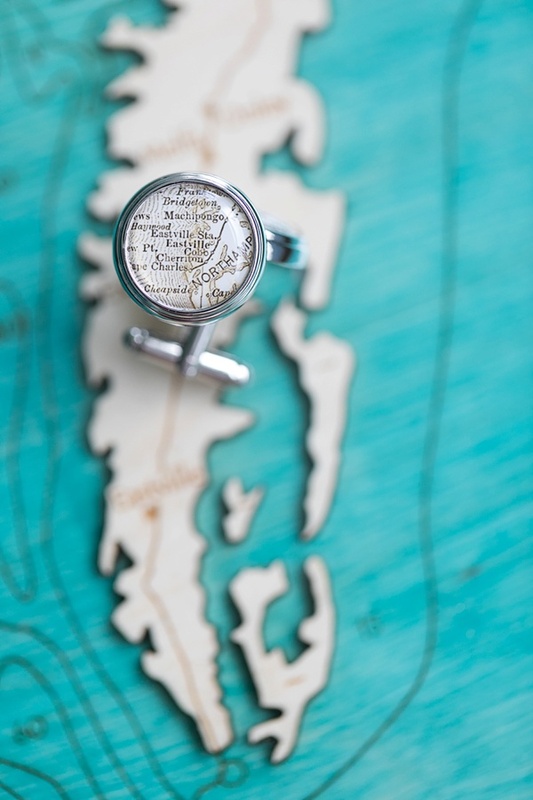 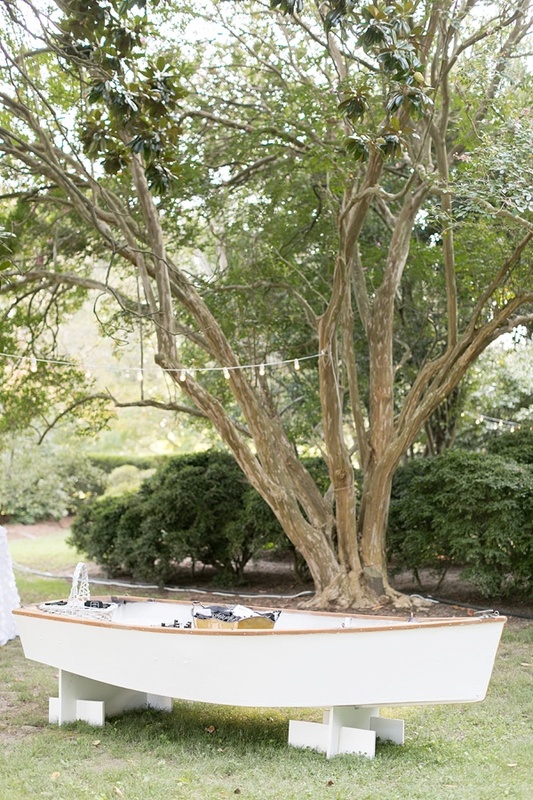 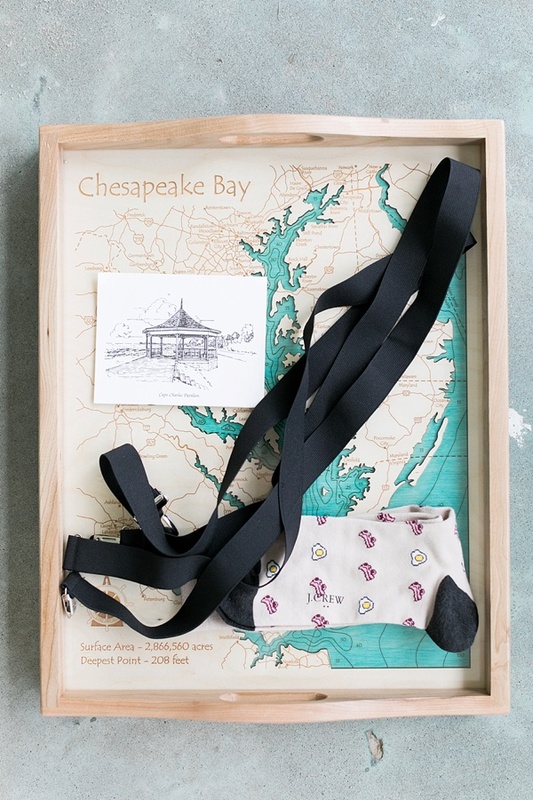 In addition to the sweet dedications to heirlooms, Will and Elizabeth chose to highlight the local area so familiar to them with custom cufflinks made of a Coastal Virginia map, wooden rowboats for beverage basins, and even the groomsmen's gifts of colorful swim trunks on the beach. 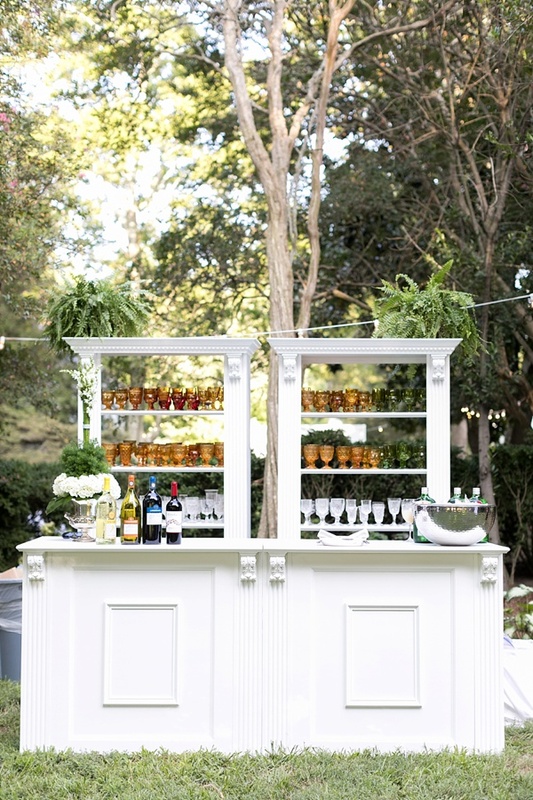 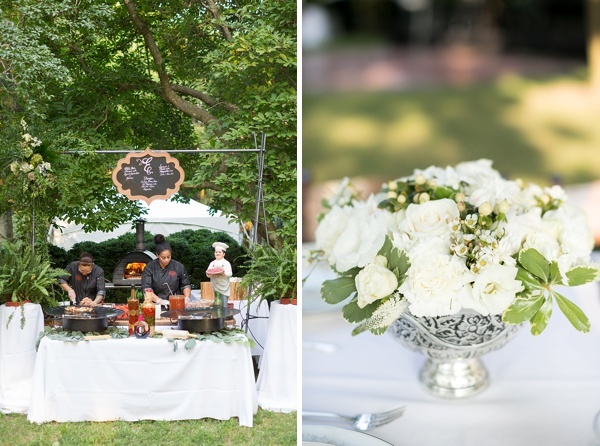 From a woodbrick pizza oven food station to a gorgeous champagne bar to another chic bar filled with amber and green glasses that Elizabeth collected herself, Brett Denfeld Photography captured not only the details but the spirit of the event underneath bistro lights and twinkling stars.